An Italian Pasta Salad makes a delicious addition to any meal. What makes this one special? It has artichoke hearts and sun-dried tomatoes and is hearty enough to be a complete meal! 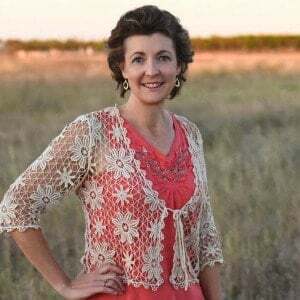 If you have been around for awhile, you know that I love meals that help keep my kitchen cool during the hot summer months. 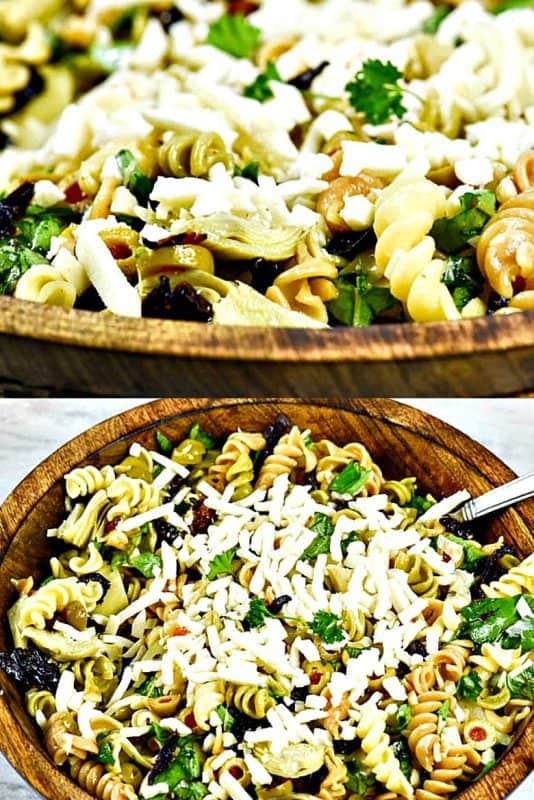 This Italian Pasta Salad recipe does just that! The secret? Make it the night before and when dinner time comes, it is cool and refreshing! So, if you are looking for an easy summer meal or anytime pasta salad, this recipe is for you! It is definitely a hit with my family and is a quick crowd pleaser if you are entertaining. Watch and see for yourself how easy this pasta salad is to whip together. This is the carved wooden salad bowl you see in the video and it is a great way to serve salads and other sides. Store-bought Italian dressing can be used in place of the homemade for added ease. Black olives can be substituted in place of the green olives. Combine together the vinegar, salt and olive oil. Mix well and add to pasta. 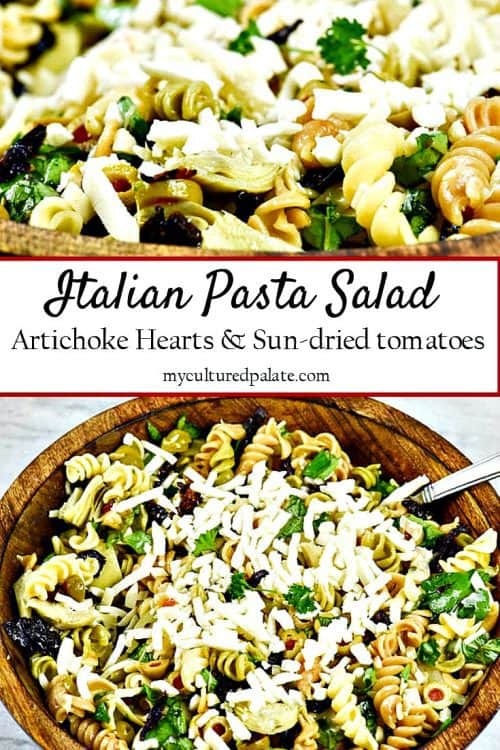 If you’ve tried this Italian Pasta Salad or any other recipe on Cultured Palate please take a minute to rate the recipe and leave a comment letting me know how you liked it. I love hearing from you! You can also FOLLOW ME on PINTEREST, FACEBOOK, INSTAGRAM, YouTube and TWITTER. Cool and refreshing, this pasta salad is hearty enough for a main course. Cook pasta according to package directions - Drain, rinse with cold water and place in a large bowl. 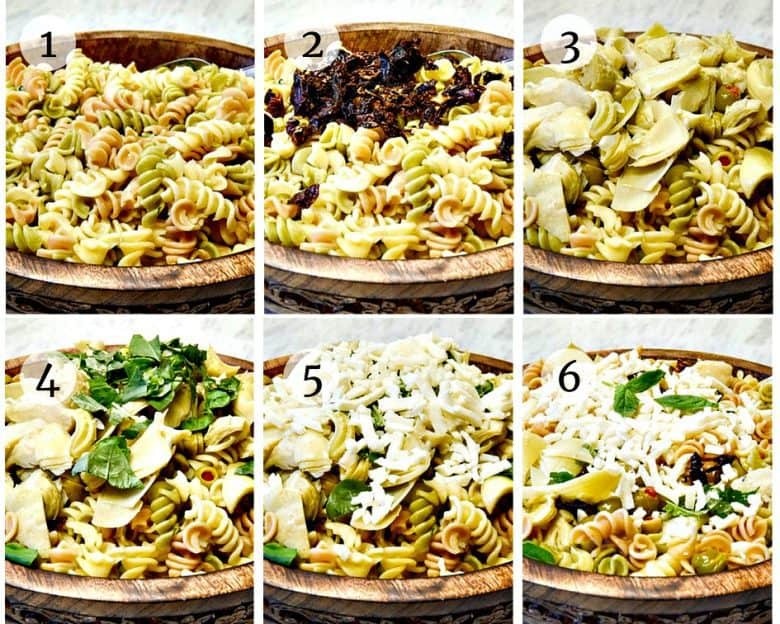 Add to pasta bowl, sun-dried tomatoes, artichoke hearts, olives, cheese and basil. Chill before serving. Garnish with additional cheese and basil. This recipe is awesome! I use to only put Italian dressing and cheese in mine, but this recipe is creative and delicious!!!!! Tina, so glad you enjoyed it – homemade is so good, isn’t it?